If you have ever wondered to yourself "how can I support New York City's town square in the middle of winter while remaining warm and looking exceptionally chic?" don't worry, because we have got you covered. 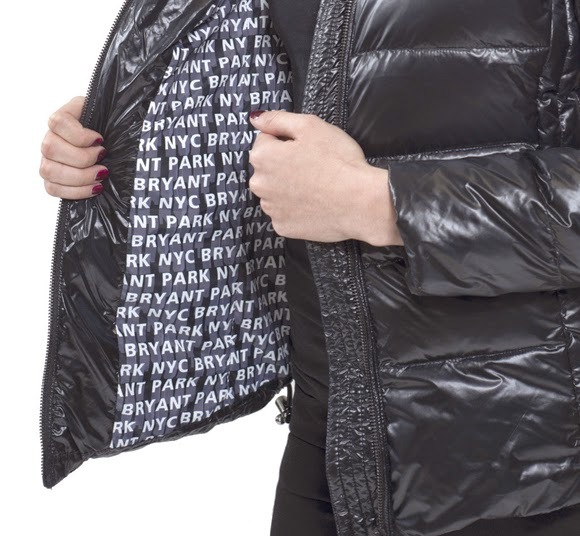 In a recent collaboration with Snowman New York, Bryant Park has helped create a park edition of Snowman's classic and ultra-fabulous down coat. With each purchase of the Bryant Park by Snowman coat, a portion of the proceeds are donated to the park. The Bryant Park edition shares the same quality standards as every Snowman down jacket: 90/10 down, water resistant, and tailoring that flatters and enhances your curves. The look is a semi-glossy black and quilted style, with a custom liner that boasts a unique Bryant Park pattern. The hood is detachable with a faux fur trim and the collar is made of ultra soft rabbit fur so that you can snuggle in to hide from the cold. Another great feature, besides its great looks, is this coat's incredibly light weight. Most winter coats - especially those with distinct style - tend to be bulky and heavy. The winter months are gloomy enough without having to feel weighed down by a coat. Once its yours what better place to wear it than The Rink at Bank of America Winter Village, or how about the upcoming Winter Carnival?